Anyone that smokes will tell you about the time that they tried to quit smoking because at least once in a while every smoker tries to quit. Thid may be because they realize that smoking is bringing them more harm than benefit or that smoking is an abhorrent activity that harms not only their own health but the health of people around and that smoking cigarettes propagates the tradition of smoking which in itself is not a very good thing. For any of the numerous reasons someone would try to quit smoking. However, most of these stories will end with relapse; how the person failed to quit and lit one after another cigarette ever since without another effort to quit. Of course, in the modern era a great deal of people have come to look at vaping as a health alternative so most people will also tell you about their experience with vapes. People will justify their failure to quit often by claiming that the cravings that you experience are just too much to handle for anyone. These cravings are also the reason that most people continue to smoke, not because they continue to be stressed – the starting point for most smokers. So, where do these cravings come from? These cravings come from nicotine. Nicotine is known to be a very addictive, substance and in response to nicotine inhalation the brain produces dopamine in the brain which brings pleasure. However, perhaps the only drawback of nicotine in cigarettes is the fact that it gets you addicted, while the harmful effects of nicotine may not even be substantial enough to mention in this article. However, it seems that the biggest and most harmful fact about cigarette smoking is the fact that you get addicted because only after you are addicted you have to bear all the other harmful effects that cigarettes over and over again have and since you are addicted, the room to you quitting smoking is extremely narrow. What if You Do Manage to Quit? Yes, cigarettes are extremely addictive and yes most people actually fail to quit. Statistics suggest that only about 20% of the people that attempt to quit smoking actually succeed in quitting while the other 80% fails. Of those 80%, there might still be people that are determined to quit smoking and may try another time in the near future and even succeed. However, a great proportion of this 80% that failed will not try quitting again. But, the trial does not end for the people that succeeded in quitting. 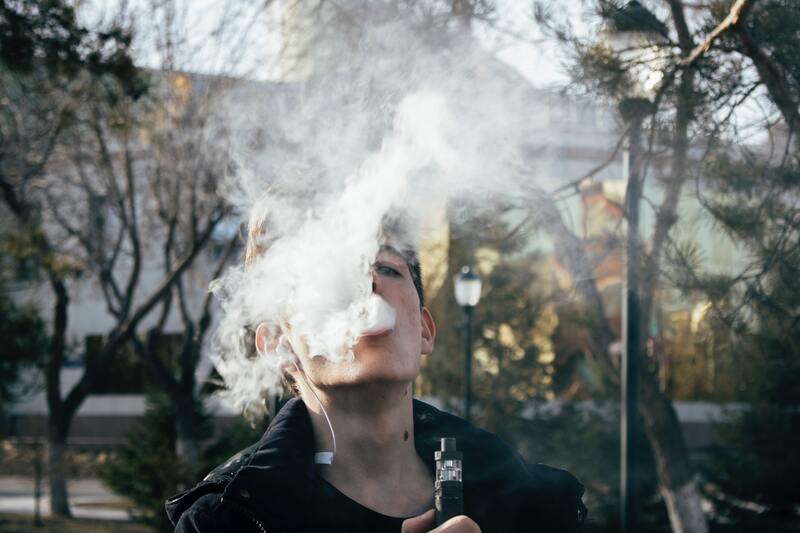 Once they do quit smoking, whether by using vaping as a health alternativeor just completely withdrawing, people have to deal with ways to counter the extreme stress that results from their resistance to smoking. This stress, as they believed, was one thing that cigarettes controlled and for almost 80% people was the reason that they started smoking. Now that they had quit, how will they control their stress? Everyone knows how effective vapes have been in countering cigarette smoking with their variable nicotine, temperature, and flavors. Around the world many people that quit smoking, either take the help of vape devices in helping them reduce their dependence on nicotine or with completely killing the habit for good. So, if you used vaping as a health alternative too, then that in itself is a great way to counter your stress from quitting. Firstly, you still get to inhale nicotine – you may choose to reduce the quantity though – and so the cravings and stress that you experience are not as much as those that result from complete withdrawal. The best way to use vaping to counter the stress from smoking is to experiment with the flavors. The market for vape flavors is huge and you will find no shortage of flavors and no problem finding your favorite flavor. So, you could just get lots of flavors and keep changing to new flavors to keep you interested and to keep the stress from setting in. When you quit smoking, you need to make sure that you fulfill your basic needs as effectively as possible since any feeling of deprivation that may arise in your body could lead to your craving for smoking, particularly if you have tried complete withdrawal instead of using vaping as a health alternative. Therefore, it is very important that you keep your basic needs satisfied by taking in a balanced diet that provides all the necessary minerals and vitamins that you need. Moreover, you might also want to cut down on caffeine because caffeine makes you anxious. To settle the anxiety you might be tempted to run to your old friend cigarette. So you might as well reduce your caffeine intake as well. Exercising is one of the best ways to counter the stress that you can think of. Not only will it keep you fit, but will divert your attention away from cigarettes which is what you want to do in the first place. Moreover, exercising will mean that you will constantly be reminded of all the harmful effects of smoking – such as breathing problems, low stamina, low appetite – that you may have to experience when you smoke. This practical realization will reinforce your decision to let go and even make you more and more determined to stay away from cigarettes. Furthermore, exercising is one of the best ways to reduce your stress because exercising too, like smoking, releases dopamine in your brain which is the happy hormone and which creates craving. So, you get to cover a lot of the dopamine that you are so used to by exercising, so the craving that you experience is not really as vicious as it could have been and you are good to go.